→Back pain that is triggered by certain activities, so you must be careful or avoid the situations that provoke your back. →Back pain that usually starts out slow (“something feels off”) and progresses until it is unbearable. →Back pain that usually appears from bending over to pick something up. →Back pain that hurts upon waking or with exercise. →Back pain that appears after sitting for long periods of time. →You feel like your back needs must be stretched/massaged daily. →You experience back stiffness more than actual pain. →Back pain that affects your mood, ability to exercise, work, socialize, sleep, hobbies, and overall decreases your quality of life! →If your back pain is affecting your daily life– WE CAN HELP! If you are looking for back pain relief near Charlotte, NC, Dr. Bob Mason commonly serves Ballantyne, Pineville, Waxhaw, Weddington, Wesley Chapel and Matthews residents. Whether your neck pain is a new symptom, or if it has bothered you for years, at Active Life Chiropractic, our goal is to eliminate your back pain quickly and help you return to a pain free life. Because our approach is to provide long lasting changes, we begin looking for the root cause of your back pain immediately. By eliminating the source of your back pain, we commonly see patients feel better within hours of visiting our office! 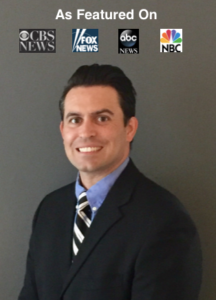 Dr. Bob has been featured on CBS NEWS, FOX NEWS, Abc News and NBC and is a corrective care chiropractor. Corrective care balances all sources of pain including the spine, muscles and pinched nerves in the back. This approach has helped thousands of chronic back pain patients significantly improve and many eliminate their back pain completely!